Arriving in Iceland, it’s easy to get consumed by what happens around the country’s capital, Reykjavik. It’s only a short drive to the popular Golden Circle tour, where you’ll stand on the threshold of two continents in Þingvellir, marvel at the thundering Gullfoss waterfall and watch boiling water be thrust 70 metres into the air from Strokkur at the Geysir Geothermal Area. It’s all utterly wonderful, but it’s only a small part of a country that has an immense amount to offer travellers. And I like to travel differently. While everyone is milling around the Eiffel Tower, for example, I wander off to chat to the man feeding pigeons and practice my French. So, eager to better understand the land of fire and ice, I headed north. The landscape in this part of Iceland is vaster, steeper and more extreme, but with significantly less tourists. It is an Iceland begging to be explored, with a limitless, choose-your-own-adventure feel. Expect surprises and wonder, because they’ll come at you from every angle. Once you commit to visiting the north, there are several ways to get there. I took the bus. Over the drive, just shy of 400km, I skirted along the coast, hovering over vast dark seas. I kept a diligent eye on the ocean for a chance to see whales coming up for air or playfully slapping a tail. I remained captivated as I headed inland on the Ring Road (the only road to the north and most uninhabited parts of Iceland), watching enormous mountains, jagged rocks and sprawling open land unfold before me. Every so often the scene would be dotted with Icelandic horses; shaggy manes of white, brown and gold speckling the landscape. Even brief stops provided a chance to explore the ever-changing scenery of Iceland and see how language, food and culture varied from town to town. Expect to be awe-struck at every one of them, however brief they might be. 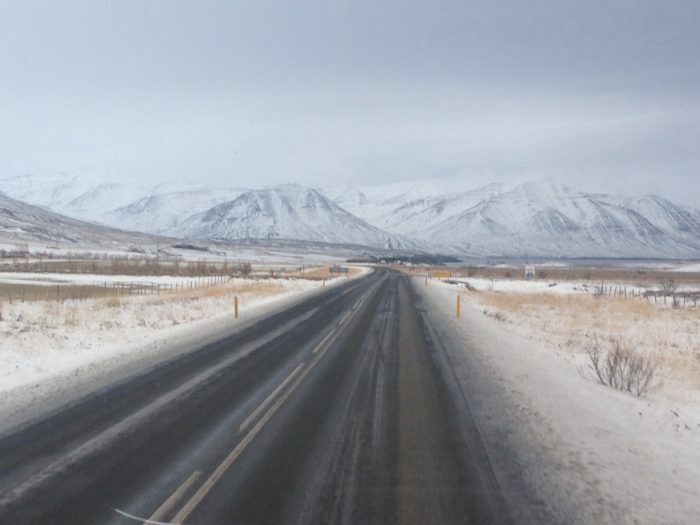 By the time the bus pulled into Akureyri, I’d passed through towns like Akranes, Borgarnes and Blönduós. Though smaller and significantly less popular than Reykjavik and the south of Iceland, these towns articulate beautifully how the landscape changes across the country. In the winter, that meant it got steadily colder, quieter and bigger, with the mountains more imposing and extreme the further north we drove. 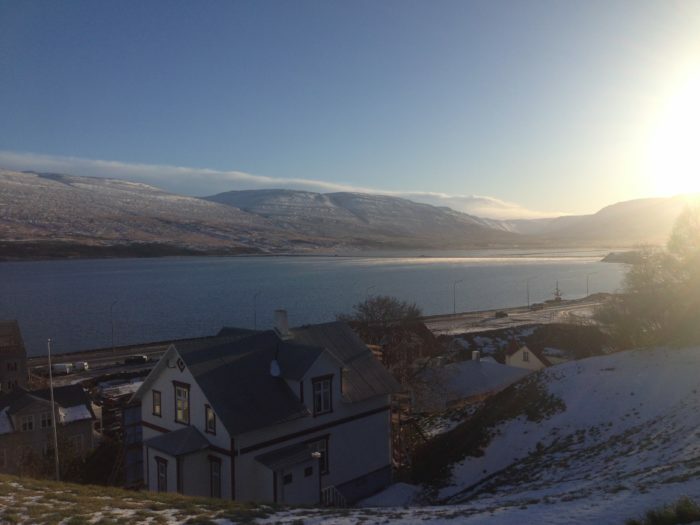 In Akureyri itself, there’s no shortage of things to do. March up to Akureyrarkirkja, the Lutheran church that towers above the city, or wander around the Arctic Botanical Gardens, the northernmost botanical gardens in the world. For seafarers, there’s the unique opportunity to catch a ferry to Grimsey Island, home to “one hundred people and one million seabirds”. I chose to see the Northern Lights by boat; setting off in the dark and quiet to watch streaks of electric green, yellow and pink dance overhead in a cold open sky. It was a truly magical experience that attracted only a fraction of the tourists the same activity does in Reykjavik. When I journeyed out, I was one of just three people on the vessel. This allowed time to ask detailed questions about the light phenomenon above, enquire about the marine life below, and gave boat staff a chance to share personal stories about the coastal city and its history. After two nights in Akureyri, it was onto Siglufjörður, just one-and-a-half hour’s drive to the north-west. 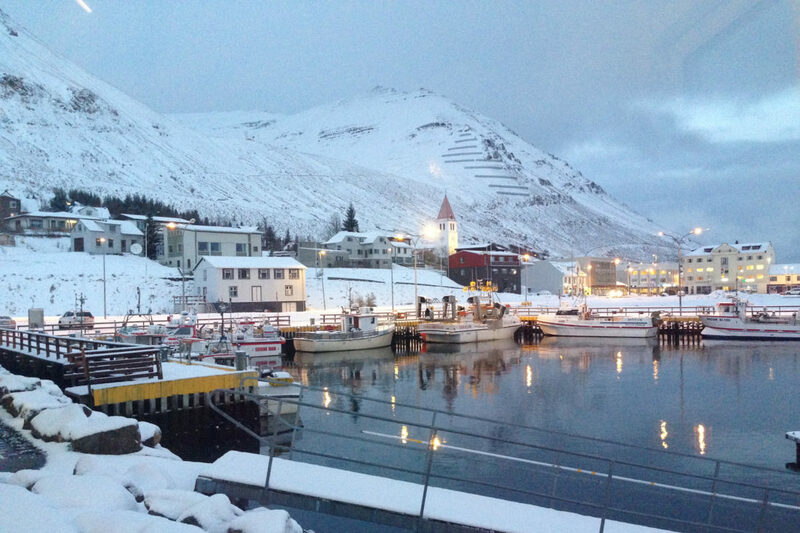 Located at the bottom of steep mountains and wedged in a narrow fjord, the drive into Siglufjörður was picturesque. I realised when the bus pulled into my hotel that I’d been leaning forward for the whole journey, trying to take in the magnitude of my surroundings. But the stiff neck was definitely worth it. The mountains, water, sky and falling snow were all bigger than I’d seen or ever imagined they could be. So were the relics of the herring industry that dominated the town for a century from the mid-1800s. In fact, Siglufjörður was once the undisputed herring capital of the Atlantic. This reality (along with an array of images, artefacts, machinery and even ships of the time) is celebrated in The Herring Era Museum. The award-winning museum spans five monumental coloured buildings visible from almost anywhere in Siglufjörður, and locals go out of their way to ensure you see it. When I arrived, the museum was closed, but after some gentle encouragement from hotel staff, I called the number on the website to arrange a visit. The museum was opened for me alone, and I spent several hours marvelling at the size and dominance of the industry and its impact on the town. While all of Iceland offers mesmerising landscapes and unique experiences, it was in the north that I was repeatedly struck by true wonder. 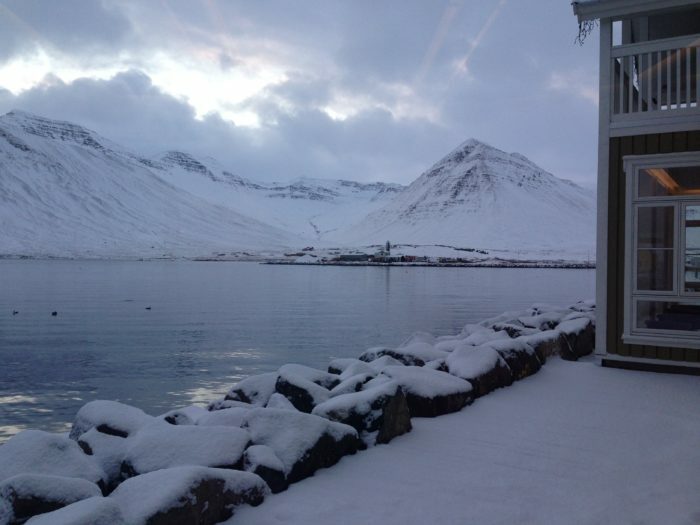 In Siglufjörður, that meant sitting alone in a spa at the base of mountains while snowflakes tumbled down and the temperature sunk steadily below zero. In Akureyri, it was the humbling experience of feeling small, dwarfed by the enormity of Iceland, and indeed, the world for that moment. In North Iceland, there’s a sense of being somewhere exotic and untouched, even though the travel is easy and Icelanders supremely accommodating. It was an intimate trip in a landscape that is very much the opposite. On the bus drive back to Reykjavik, though sleepy, I forced my eyes open. I wanted to ensure the landscape, unlike anything I’d seen before, was locked in my memory forever. Iceland’s north is a heart-warming and inspiring part of the world to explore, even if the land itself is actually frozen. I know I won’t forget it for a long time. Ready to experience the magic of this part of the world? Consider a Peregrine tour of Iceland. Izzy Tolhurst is a freelance writer from Melbourne, Australia, but don’t try to pin her down to a single location. She currently resides in Canada, and previously lived in Denmark and Indonesia. She’s travelled extensively through North America, Asia and Europe and loves discovering the exotic in the familiar. Follow her on Twitter and Instagram @izzytolhurst.